This entry was posted on February 24, 2011 at 5:30 pm and is filed under Uncategorized. You can follow any responses to this entry through the RSS 2.0 feed. Both comments and pings are currently closed. My wife and I laughed through the whole article. Well done! Are they? I’m now thinking about iridium, for example. Or even better: tungsten. It has the same density as gold, so it could perfectly replace it. In fact, there’s a rumor, conspiracy theory, or whatever, that some gold bullion has been found to have a tungten core. Didn’t anybody think of that? I mean, when you read the price of gold in the WSJ, does it refer to any particular isotopic ratio? Is there any standard about it, so the people buying and selling gold know exactly with kind of gold they’re talking about? Iridium is the scarcest element, but still it does have some natural abundance in the Earth’s crust (1 part per billion) so I didn’t call it artificial. Its cost is similar to osmium which is about 1/4 the price of gold right now. So technically the would work for the fraud, but probably the price of gold is inflated artificially and the rarity of iridium and osmium means they ought to be more valuable and you might regret it later. Tungsten is still a little less dense than gold (19.25 vs 19.3) so in principle the fraud could still be detected. You could probably fool one of those gold buyers in a motel room. There is no need to worry about the isotopic ratio of gold you buy, since there is only one stable isotope. 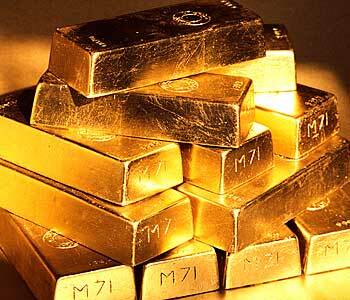 All gold bullion is 100% 197-Au. Wows! I read a heavy book on this once! It was strange! In it, Isaac Newton was big on measuring gold! He was Master of the Mint in England. Gold, being a soft metal, can actually be dented by biting it! So people, to make coins, added lead to harden them. You wanted a very hard toffee so you could tell how pure a coin was by biting it. This was a rough test of the coin’s purity. If pure, the coins could then be circulated around in great currents of currency. To quote the great sage Homer S: Money can be exchanged for goods and services! Naturally, everyone then tried to game the system! You melt gold coins down, and add stuff to keep the same weigh! Which lead (hehe) to tasting… err… testing… metals, ever more accurately. In the book, Stephenson wonders if that’s how people started getting suspicions about isotopes! Metals of identical properties but different density messing with the weight of coins! If you could shave even 1/10 of gold off a coin, that’s a good profit! For example, by replacing all the lighter lead in the coin with a heavier lead isotope! For every 204 lead atom, we put a 208! That saves us 4 atomic necleuses! Gold has 197, so we need to replace 197/4= 49.25 atoms of lead 204 to swindle 1 atom of gold away. But if that 1st book is too big, you can always read Making Money by Terry Pratchett. In it, Moist von Lipwig, a professional thief/banker wants to make people rich by taking all their gold! Zig Zag, Newton would have been more concerned with silver during his time at the mint. You know, I don’t think the toast derivation is correct. Or it it the atomic units != weight of atom? That’s just approximation! Like in horseshoes, close is good enough. I think I know who can help with your differentiel eq. app recognizer!!!! Maple has a handwriting symbol finder! Sketch a rough symbol, and it gives you a close guess to it. I can’t get it to recognize my pi, but it’s still a good start! “No other isotope of gold has a half-life of longer than an hour” ? So it won’t work for gold because there’s only one stable isotope. But could this practically work for other precious metals with more than one stable isotope? Say turning the common platinum 194 or 195 into the rarer 198? That’s a whopping 2% return on investment! Plus, platinum is worth more per kg than gold, so it’s an even better investment! Quick google research suggests there are 6.5 million ounces of platinum in reserve, all of which can apparently fit in an average living room due to its density (so getting a substantial quantity into enough space for a practical neutron bombardment wouldn’t be impossible). At $1800/oz for platinum, that puts the world’s supply at $11.7 billion. A 2% bump then would net us $234 million. So back to my original question, can such a procedure be performed on that much platinum and for less than $234 million, making this a profit-making possibility? If doing it for the world’s platinum reserves is possible, what % of that would someone need to hold at one time to do this to be profitable at all? 11% (Russia)? 80% (South Africa)? Shhh. You are giving away my idea. Haha. I was actually just curious how much it costs to add neutrons to things, as I have no idea, but I promise I won’t steal your idea, at least until I get my hands on $11.7 billion. Not to mention if you get audited and find out its been messed with, you go to jail, not fun. So, now the plot of Goldfinger makes a bit more sense. Auric invented a neutron bomb, dragged it to Ft. Knox, and was going to detonate it with the intention of contamination the US gold supply with bismuth! Goldmember, on the other hand, is still a deep mystery. 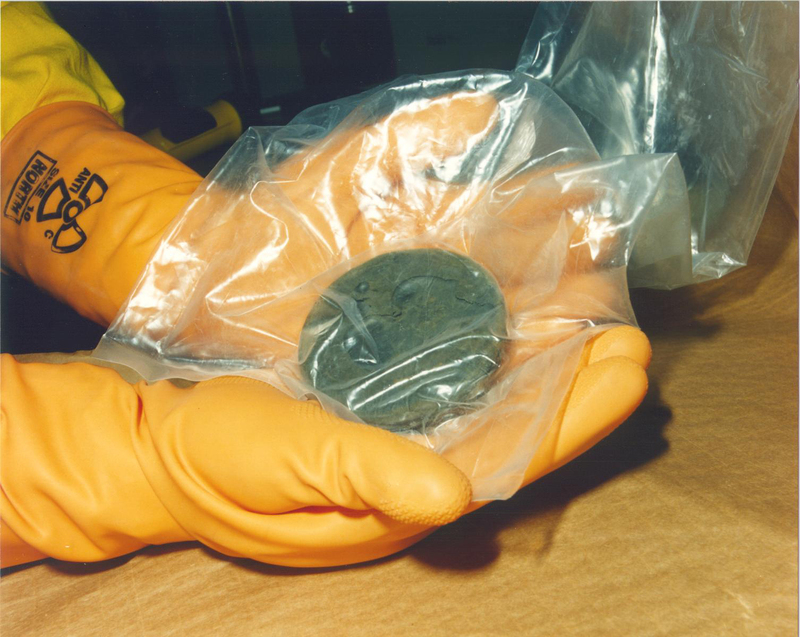 You wrote: “plutonium is one of the most toxic substance known to man.” I think this is an urban legend, although it depends on your interpretation of “one of the most”. For inhalation of dust particles that are small enough to float in the air (which is pretty small for a heavy material), it is, by weight, comparable to nerve gases, and hundreds of times less toxic than anthrax and botulism spores. For ingestion, the toxicity is comparable to caffeine, because plutonium is hardly absorbed by the intestine.